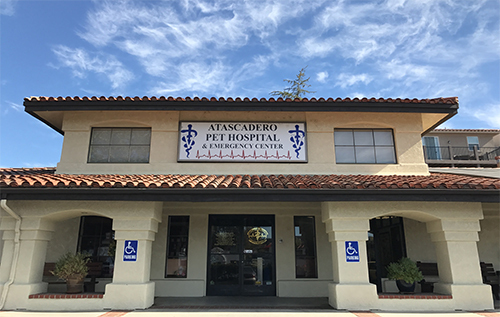 Atascadero Pet Hospital and Emergency Center is a 24 hour hospital and veterinary emergency center equipped and staffed to meet the medical, surgical and critical care needs of the pets, people and veterinary colleagues of California’s Central Coast. Our hospital is committed to providing for the health and well-being of your pets through compassionate personalized care, highly trained staff, state of the art equipment and client-centered communication. 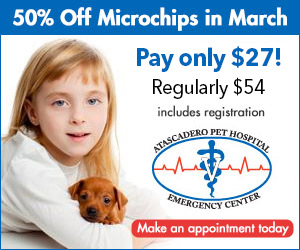 Learn more about Atascadero Pet Hospital in our Central Coast Medical videos, click here. How Do We Rate? Take our client satisfaction survey and let us know! Dr. April Besset discusses Symptoms and treatment of a pet with pancreatitis. Dr. Katrina Stanchev discusses Symptoms and treatment of dental disease in pets and how a veterinarian cleans a pet’s teeth. Dr. Aaron Schechter discusses what to do when you discover a suspicious lump or bump on your pet, what a veterinarian will do to diagnose it and types of treatment plans.